Drivers and passengers are being warned of disruption on the region's roads and transport networks with heavy rain expected to batter the North East coast. 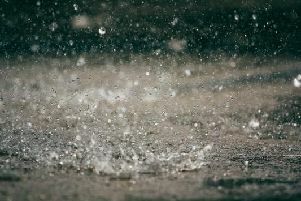 The Met Office has issued a yellow weather warning for rain in place between 10pm tonight and 10am tomorrow, with the worst conditions expected in the morning. Forecasters say drivers should expect spray and flooding on the roads making journeys longer. Bus and train services are also expected to be affected with journey times taking longer. The Met Office also forecasts low cloud during the morning. The wind and rain is expected to ease a little by the afternoon, however it will remain cold and damp with temperatures not reaching any higher than 6C. The outlook for the rest of the week is for cold weather with a stiff easterly wind bringing extensive low cloud, hill and coastal fog. More rain, heavy at times, is expected.